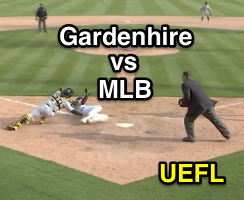 Tigers Manager Ron Gardenhire recently reiterated his belief that Baseball botched the review, alleging that the league admitted wrongdoing; in response, MLB claimed Gardenhire's statement was false, that the decision to overturn was correct, and released a four-second video of 13 different angles (many of them completely irrelevant to the play) as proof of its "definitive angle." Randazzo observes Cervelli's tag attempt. Follow along as the Tigers and MLB argue about who said what. Maybe the next phone line MLB should wire tap is the one between Corporate and the various team GMs. The Play: On Detroit's Opening Day Friday afternoon, Pirates Manager Clint Hurdle challenged HP Umpire Randazzo's 10th inning call that baserunner R2 Nicholas Castellanos was safe at home plate, thus scoring the game's winning run in walk-off fashion. After a three-and-a-half minute delay, Replay Review returned a "call overturned" decision, good enough for the third out of the inning, prolonging the game. Gardenhire earned his ejection after continuing to argue the reversal. MLB claims the evidence was definitive. Tigers Claim MLB Wrongdoing: According to Gardenhire, Detroit GM Al Avila spoke with MLB brass over the weekend, with MLB officials allegedly telling Avila that A) Yes, the 3:30 review took too long, and, more notably, B) the video evidence wasn't conclusive: "The explanation was they didn't really have conclusive evidence that somebody tagged him." Thus, if MLB admitted to Avila that it didn't have conclusive evidence that the runner was tagged, yet still overturned the "safe" call, then Gardenhire's point prevails: MLB made a mistake. MLB released this image as its "Definitive Angle." 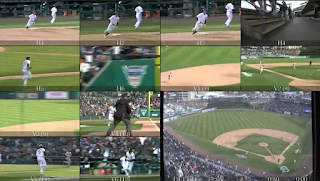 MLB Responds, Trolls Gardenhire with Mass Video of Many Angles: In its written response, MLB contended that the Replay Official made the correct call, and that he used conclusive evidence to do it. Said MLB, "The video clearly shows the catcher applying the tag on the upper right arm of the runner." 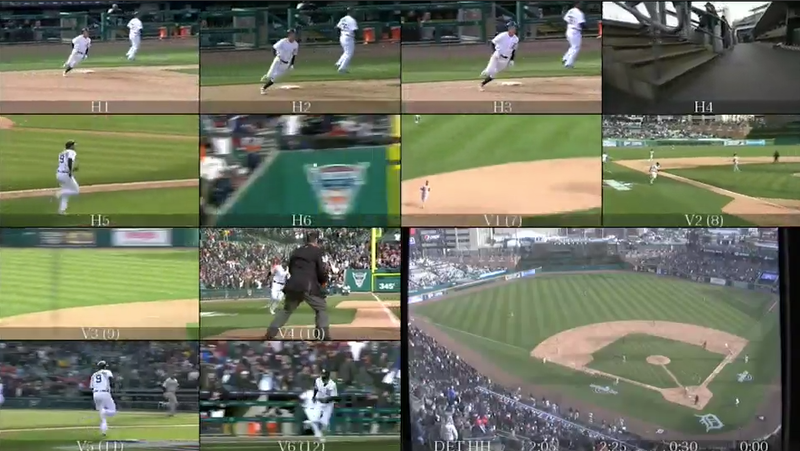 MLB then released a "definitive angle" video of 13 different images (three of which were from center field and focused on the batter-runner, one which was sitting idly in a dugout capturing video of a staircase, and one which overlooked the entire field of play). 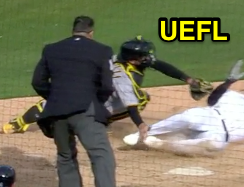 Due to this hearsay controversy, the UEFL Appeals Board will revisit Ejection 002 to review whether or not the decision to overturn Randazzo's safe call was correct or not. In other words, the Board will now consider whether there existed clear and convincing evidence with which to change the original call.